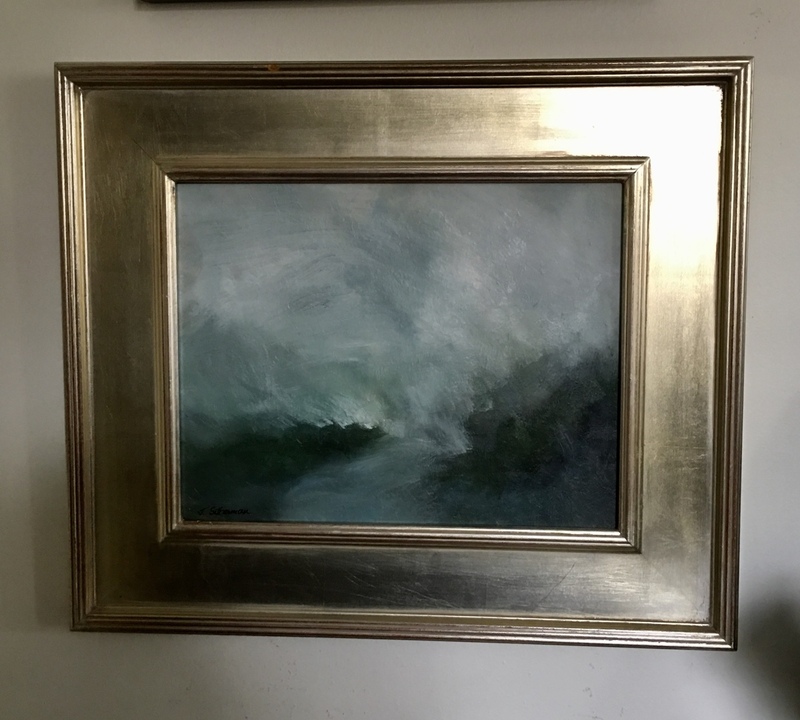 A moment of misty wonder inspired this original oil landscape. Original oil on panel. Framed in a lovely platinum hardwood frame.